Book Review: 1776 | What Would The Founders Think? 1776 is the perfect book to spark interest in the American Revolution. It is as absorbing as any thriller and leaves readers regretful when it ends. David McCullough has no peer when it comes to breathing life into historical figures. He provides insights into the character of men and women who, with the passage of time, have become rooted in memory as little more than cardboard replicas of themselves. By imposing their portraits on the colorful canvas of the times in which they lived, he deepens readers understanding of their achievements and provides vivid images of long ago events. In no book does McCullough do that more brilliantly than in 1776. This is the perfect book to spark interest in the American Revolution. It is as absorbing as any thriller and leaves readers regretful when it ends. 1776 covers only one year of the Revolutionary War – from the announcement of all out war against the American colonists by George the III in 1775, to the American victory at Trenton in 1776 – but what a year! The book begins where the war began in earnest, in London where on Oct. 26, 1775, King George III informed Parliament of his plan to put an end to the rebellion in the American colonies. The heated debate over waging all out war against the colonials raged until 4 in the morning. McCullough uses the Westminster speeches by luminaries of the time to outline the positions of English supporters and opponents. In America, McCullough introduces a self-doubting Commander of the Continental Army, but George Washington possesses an extraordinary commitment to duty and personal discipline. The reader also meets the officers in Washington’s Army, many of them as inexperienced in the arts of war as the troops they led. McCullough contrasts Washington’s poorly trained and provisioned army of farmers, schoolteachers and craftsmen with the well trained and battle-hardened Redcoats and Hessians. McCullough describes the American encampment around Boston in 1775 in all its squalor, sickness, confusion and declining enthusiasm for the task at hand. In Boston, the reader meets the British Commander General William Howe and ranking British officers, most of whom are seasoned career soldiers. But Howe had problems of his own. The only source of supplies for the city surrounded by the Continental Army was what could be brought in by sea. The severe American winter was debilitating to British troops unaccustomed to the severe cold. Shortages of all kinds plagued the British Army and especially the civilian population. Howe’s plan was to hold out until reinforcements arrived and the weather permitted further action. Washington wanted to attack before the British position could be reinforced and before the Continental army was further reduced by sickness and desertion. After months of waiting and worry, Congress consented. Much to Howe’s surprise and dismay, Washington managed to move artillery and several thousand men under cover of night and take Dorchester Heights overlooking Boston. 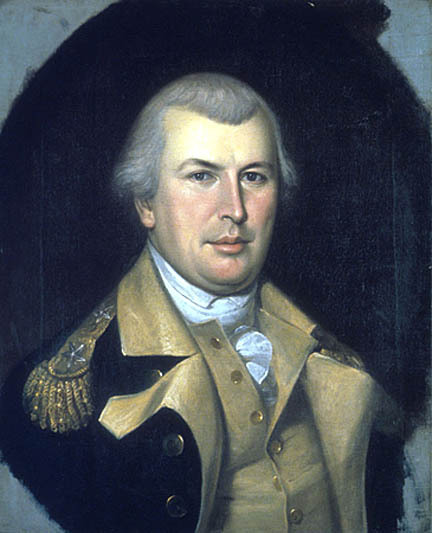 Thanks in large measure to Nathanial Green’s arduous exploit of transporting abandoned French artillery from Fort Ticonderoga to take part in the attack, the Continentals prevailed. A storm of “hurricane proportions” delayed and discouraged a planned British counter attack. Instead, the ferocity of the storm and the near destruction of the city persuaded Howe to abandon Boston and return to England. McCullough provides a poignant description of the hurried exodus of British troops and the loyalist families who went with them, most of whom would never see their homes again. However, the British Army returned with more troops than the Americans could have imagined and Boston was retaken. Washington’s hugely outnumbered army suffered devastating losses at Brooklyn, New Jersey and Fort Washington. Defeat followed defeat. Morale was as low as confidence in Washington’s leadership. By December, the ragtag Continental army was in full retreat. Washington needed a decisive military victory and began planning for a three-pronged assault on the British and Hessian units in and around Trenton, New Jersey. Although failure was a far more likely outcome than success, Washington knew the risk had to be taken. He divided the army into three forces, which were to assemble by nightfall on Christmas night—about 4:40 PM—and cross the Delaware. There were many things that could go wrong, and they did. A fierce snowstorm and terrible cold slowed the river crossings, using up precious hours of darkness needed for a surprise attack. 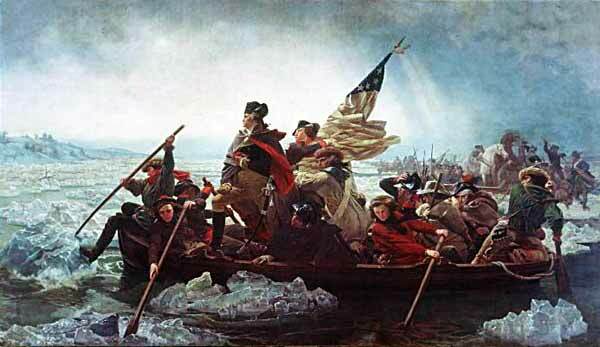 Recrossing the river in daylight without discovery and enemy harassment was unthinkable, so a despairing Washington persevered. 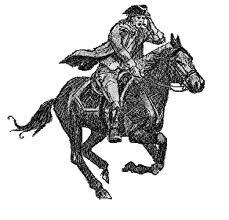 However, the storm that caused so much misery prolonged the darkness allowing the Hessians to be taken by surprise. After intense fighting on Christmas Day, the Continentals were victorious, greatly improving Patriot morale and increasing their resolve. The war would continue another six and a half difficult years before the Paris peace treaty in 1783, but the daring attack on Trenton, so fraught with danger, saved the American cause when defeat seemed almost certain.